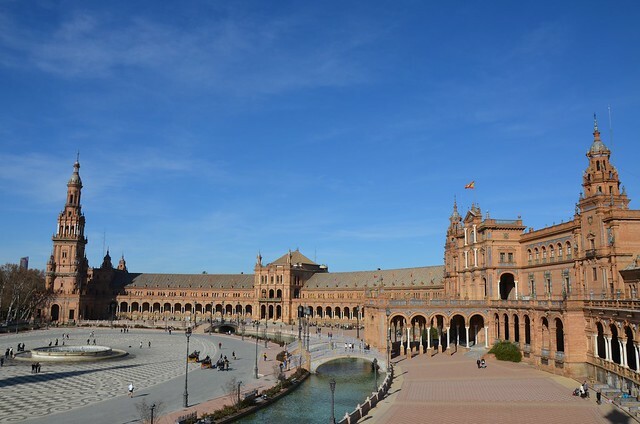 In this post, I’ll tell you how to enjoy Seville most during just 2 days. 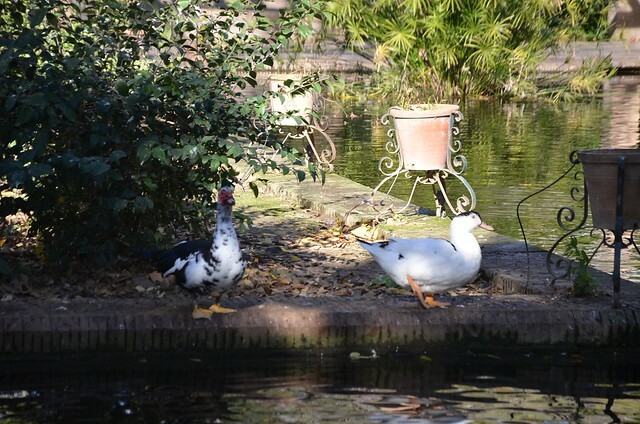 There’re plenty of things to do in Seville in December, there’s free entrance to Alcazar Seville on Monday and many other great things to do. 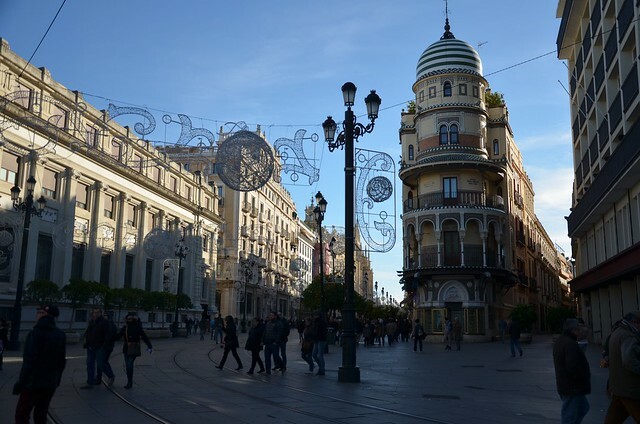 I named this post “Seville in December” just because I visited this beautiful city just after Christmas. However, since the weather in Seville is great all year long (except for maybe some ultra hot summer month with boiling hot temperatures reaching 45 degrees Celcius). As you might have seen from my previous posts already, weekend trips (or just short trips) are my favourite. Of course, it’s not possible to see everything in almost any city (unless it’s Hallstatt) during just 2-3 days but it doesn’t matter you cannot see the most important landmarks and get a great impression of a city (and enjoy your trip, of course). We arrived in Seville from Paris and after two days left the city to go to celebrate the New Year in Madrid. Seville impressed me a lot from the very beginning. For all the other cities during our Eurotrip (except for Seville – and that in December) we needed some proper European winter clothes (e.g. coats, hats, scarves and boots). But when we came to Seville in the same clothes (just because we departed from Paris)… Well, we felt like melting! Even though it was already dark and late, it was like 14 degrees Celsius outside. In Seville in December. Isn’t that amazing? So we got rid of all those unnecessary layers, jumped in the sweaters and lighter boots and went for a walk. While Kate (my friend – partner in crime for Eurotrips on a budget) could speak fluent Spanish, I was only able to say a couple of phrases (now obviously more), so she was responsible for communication in Spain. 3) Wifi could only be found on the reception. There were no chairs to sit, so standing there was pretty weird. 4) Instead of having the feeling of being in a nice tiny Spanish hostel, I had the feeling that I was in Chinatown because 99% of residents in this hostel were Chinese, and well, they were VERY loud screaming in the corridors in the morning. Well, that’s basically it. The only negative emotions I experienced in Seville in December were about this hostel. At the reception, we have asked about things to do in Seville, where it would make sense to go in the evening and where to have dinner in Seville. That’s how we found out about one wonderful place which had just opened 3 weeks before our arrival. And it was just 5 minutes away from our hostel. The place was really fabulous! Honestly, I’m a fan of places like that. It was a marketplace-style cafe consisting of many different booths. 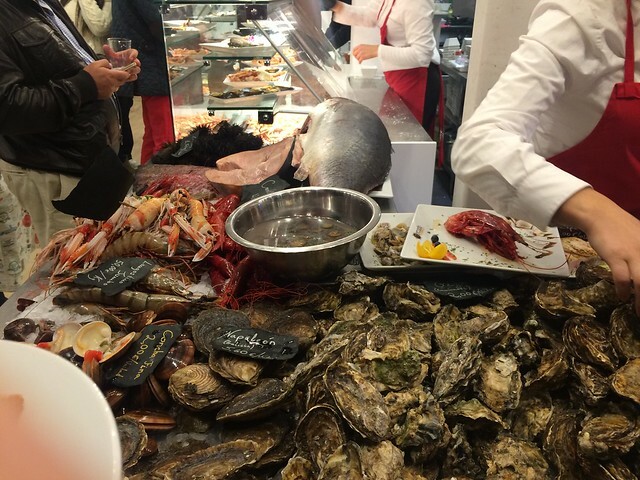 There were crepes, paellas, seafood, fresh oysters, sweets, rice, pasta and many more amazing booths. Later, we went for an evening stroll to the city centre, that was beautifully decorated for the Christmas and the New Year. 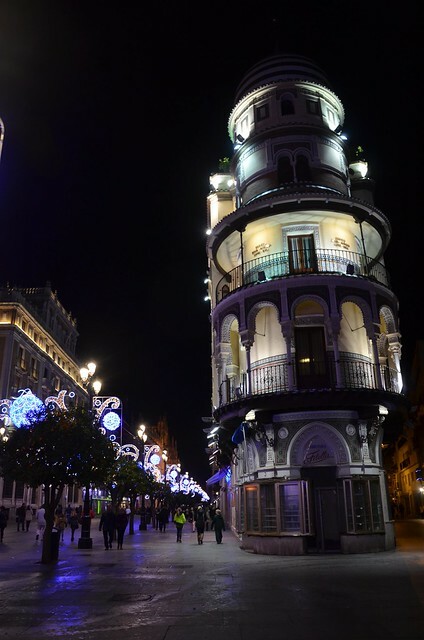 Christmas in Seville must have been amazing! But we were just 4 days late for that. On the next day, we decided to see as much as possible. We crossed the bridge and went to the other part of the city, from where beautiful panorama over Seville’s old town is visible. Doesn’t look like winter, does it? It was a lovely 1 km walk, after which we took another bridge and returned to the Old Town. There was a tower, Torre del Oro, very close to us, and we decided to climb there. I must admit, that the view over Seville Old Town was amazing! 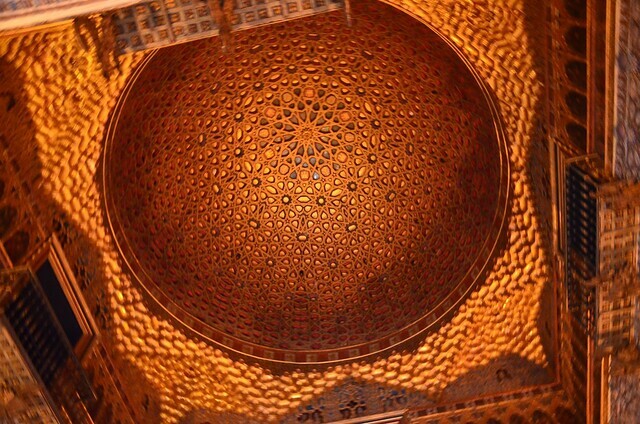 We were super lucky because…there is.. free entrance to the museums on Monday in Seville! And the ones that aren’t free, become free after a certain hour. Just like Alcazar Seville. Yes, there was free entrance to Alcazar Seville, which is usually quite expensive! That made us super excited and we decided to visit as many free museums in Seville as possible. 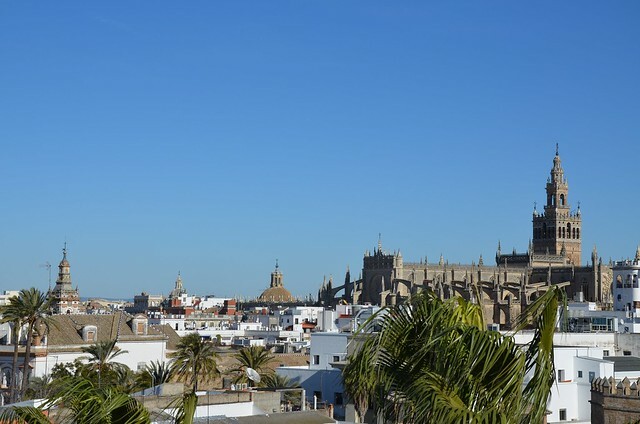 Did you know that Seville is one of the filming locations of Game of Thrones? 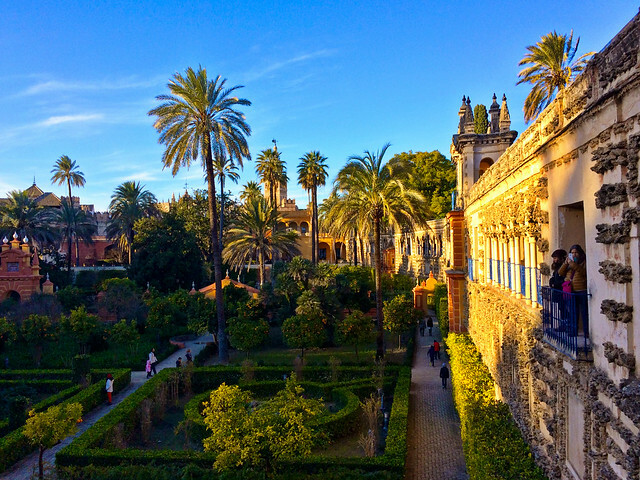 Game of Thrones fans, you should totally visit Alcazar Seville because that’s where the beautiful gardens of Dorne are. The only other filming location of Game of Thrones I visited is Iceland, but I honestly liked Seville more, even though Iceland was amazing. After visiting the tower, we went to the Plaza de Toros: it was also free, so we grabbed some tickets for the 5:30 pm excursion (Tip: you’ve got to get your tickets a couple of hours in advance). Later, we went to the incredible Plaza España with its tiny Venice-inspired canals and gondolas in front of the palace. Nearby, there’s also an amazing and quiet park: Parque de Maria Luisa. 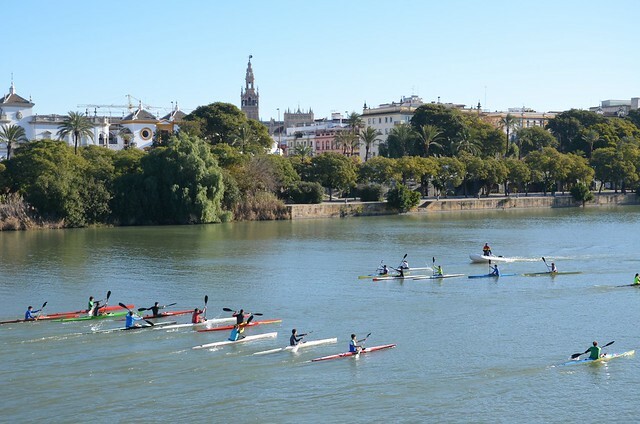 In the meantime, the weather in Seville in December was just incredible! It was around 18 degrees celsius and I was wearing a dress (and impressed local people a lot: I’ve heard the expression «Chica valiente» – brave girl, a couple of times. Well, not my fault that is seldom even plus 18 in the summer in Edinburgh, Scotland and in Seville it’s warmer even in the winter. After seeing the palace, we went to walk around the streets of Seville a little bit and also find a place for lunch. We discovered, that many great and cheap restaurants are located on the street close to the University of Seville. It’s possible to have a huge paella just for 6 euros. What a deal! 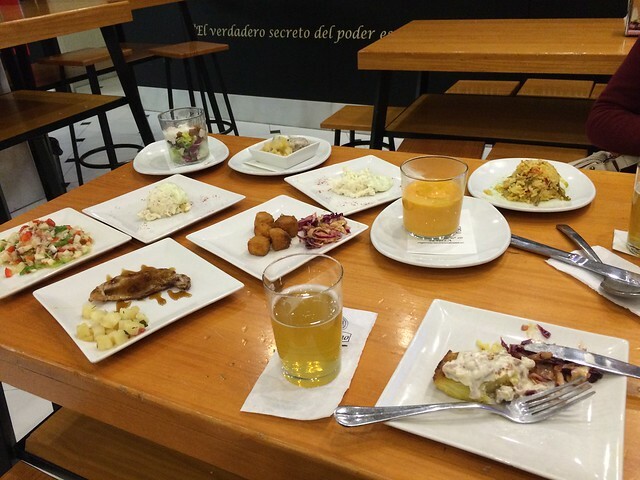 However, there is even cheaper place in Seville, called Uno de Uno: it sells all the tapas (tiny dishes) for 1 euro each. And the bigger dishes are 4 euros (but they consist of 4 smaller tapas, so basically everything is 1 euro). Even though the dishes look tiny, after 3 of them you start feeling full and 5 are already too much. In the afternoon, we continued sightseeing and went to the other part of Seville’s old town, closer to the Plaza Nueva. This part is even more remarkable: it’s full of remarkable churches and Cathedrals. Around 3:50 pm we went to queue for the free entry to the Alcazar of Seville: (the normal price is around 9.5 euros) and after 10 minutes of queueing, managed to get inside. Since the Alcazar was closing at 5pm (it was winter, in summer it’s 7pm), we only had one hour to see everything. I must admit, that only 1 hours is not enough to enjoy Alcazar not because of the palace itself, but because of the incredible garden. I would have liked to stay there for 2 more hours to enjoy the palace and the beauty of the gardens. The ones featured in Game of Thrones. Game of Thrones fans, are you recognizing the place? Unfortunately, we couldn’t go to the main Cathedral of Seville, it was already closed by the time we left Alcazar. 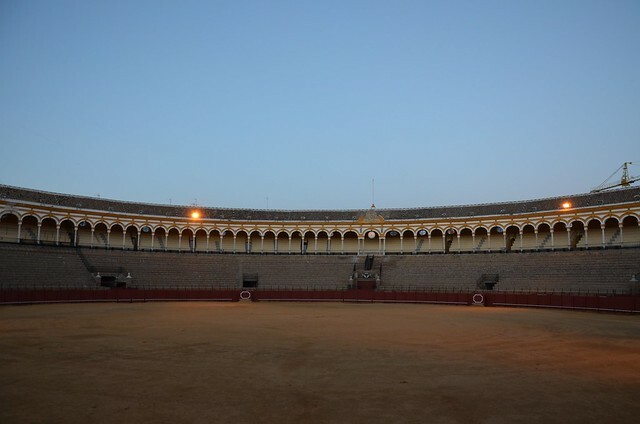 So we went directly to the Plaza de Torres: one of the few working stadiums for Corrida. We had an amazing excursion around the museum of Corrida and had a chance to take a look at the stadium. Later, it was already dark, so we went to watch the Light show at 8 pm, which was projected to the Town Hall. It was definitely created for children, but still, it was very nice. On the next morning, we had to leave the hostel 6 am6am to get to the railway station around 7 am to catch our speed train to Madrid to celebrate the New Year there, that’s why we went to sleep quite early. To summarise, I must say that Seville in December (and not only in December) is amazing: it’s great for nightlife (we’ve seen plenty of bars and pubs open till late and full of cheerful people), it’s interesting, beautiful and just incredible! And of course, 1.5 days are not enough for this city, there’re tons of things to do in Seville, but it’s still better than nothing! So don’t hesitate and come to Seville in December or any other month even if it’s just one day in this amazing city. It’s worth it! And better come on Monday for a chance to have free entrance to Alcazar Seville and many other museums. Finally, Seville is also a must for Game of Thrones fans! Seville is the most beautiful city in Spain!!! Have you seen a flamenco show?